You’re forgiven if you had feared that this series had become our great unfinished symphony, given that the last instalment, Part 8, was back in July. There were various different reasons for the delay, not least the difficulty in drawing one of the designs, which was worn by a number of goalkeepers in 1993. It’s a strange one, given that, as we saw in the last episode, adidas were putting their three-stripe about in a forceful manner on most other goalkeeper shirts back then. This one is more in keeping with some of the outlandish Italia 90 offerings, but even then it comes with extra acid-house influence. The pattern is too difficult to describe in any meaningful way, so we’ll just present the uncrested version worn by Bulgaria goalkeeper Borislav Mikhailov when the country beat France in Paris in November 1993 to qualify for the World Cup in the USA. At the other end of the pitch that night, France netminder Bernard Lama was wearing the same shirt with his trademark trousers, while Erik Thorstvedt of Norway and Romania’s Florin Prunea also used it. The only colour variation we know of was used by Fabien Barthez of Olympique Marseille, back when he had to create his own short-sleeved versions with scissors. By the time of the 1994 World Cup, adidas had a new ubiquitous style, which was dubbed the Predator range, the same as the company’s revolutionary new boot. Irregular shaped ‘blobs’ were arranged in a loose ‘Ajax style’ on a black background, with matching shorts (both colours featured on each leg, but the left was the reverse of the right). Some of the colourways represented new departures for adidas, but the gold and dark red, as used by Germany’s Bobo Illgner, was arguably a descendant of the Taifun style. Ireland’s Packie Bonner used the same colours as Illgner, while he also had a silver/grey and purple edition. Almost identical, but with a pinkish-red instead of purple, was the style which was used by Sweden’s Thomas Ravelli. 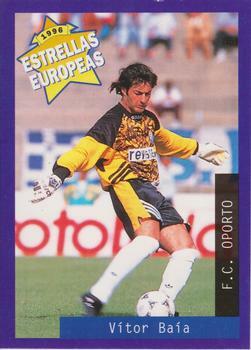 Spain’s Andoni Zubiarreta was seen in the grey and red, and also a green and grey version which no other country had. Ravelli and Zubizarreta’s deputy Santiago Cañizares (who played the first game against South Korea as ‘Zubi’ was suspended) both wore a blue and green shirt, which Norway’s Thorstvedt used too, but with extra shoulder padding – three panels arranged similar to the striping on the Predator boots. Mikhailov had this padding on his gold and red shirt too. There were three different padding types, presumably rooted in the fact that different factories were used. The USA’s Tony Meola had wider padding but no ‘stripes’ – and his shirt had the blue and green in reverse order compared to all of the other countries. Meanwhile, Argentina’s Luis Islas had another padding format, as well as noticeable differences on his shirts. As well as different shades of yellow/gold and red – and pink on his alternative – the pattern on Islas’s jerseys was rotated 180 degrees compared to the conventional style, while he didn’t have the quilting everyone else did. Clubwise, there was another unique colourway, seemingly only used by Rangers’ Andy Goram, with orange (cue the inevitable jokes) and grey featured. Goram wore the Rangers away shorts with that shirt and, with his grey and purple shirt, he went with the nearly-matching third shorts and socks. Meanwhile, Liverpool’s David James wore the conventional shorts early in the season before opting to wear the club’s away shorts – almost identical to those he used in 1993-94, but with the club crest in white, green and black rather than red. Back to USA 94 though, and two other exceptions to the Predator style. Nigeria captain Peter Rufai did wear the gold and red version against Greece, but in the country’s other three games he used a strange shirt. It had a very busy pattern featuring the adidas trefoil, three stripes and the letters which made up the word, in varying fonts. The neck also squared off in the middle. …and he also had it in purple, which was used by one other country. Romania began the competition with Bogdan Stelea in goal, wearing the blue and green Predator against Colombia and Switzerland. A 4-1 defeat in the latter game saw Stelea make way for Florin Prunea, who wore this as they qualified for the knockout stage. Prunea wore the blue and green Predator as Argentina were beaten 3-2 but he was back in the purple for the penalty shootout loss to Sweden in the quarter-finals. We’ve probably said it before, but we mean it this time – it won’t be as long until the next instalment, which will take us up to the 1998 World Cup, incorporating a number of interesting styles. I remember seeing David James wearing the matching style shorts, but with grey and red detailing on some occassions. He also wore the green and blue alternative shirt with the away shorts.